Their only option was to leave the park and look for a business that sold drinks with a straw. Without one, her son can't drink beverages. At home they use reusable straws, and she tries to keep some on hand when they leave the house, but "I'm human and sometimes I forget," Carlson explains. People with disabilities have to be much more conscious of what businesses and communities offer, Carlson says. On social media, many people are ecstatic about the crush of cities and businesses pledging to ban plastic straws once and for all. Ever since a video showing a sea turtle with a straw stuck up its nose went viral, campaigns like #StopSucking for a strawless ocean have gained considerable traction. 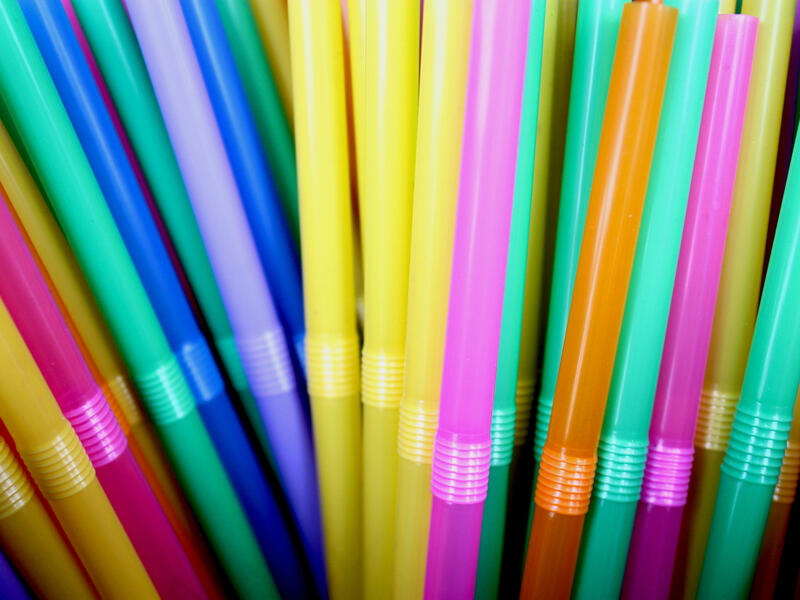 Seattle this month implemented a citywide ban on plastic straws, Starbucks announced on Monday that it will phase out the use of plastic straws by 2020, and many other municipalities and businesses are likely to follow suit. As one Twitter user posted, "My waiter asked 'Now, do we want straws OR do we want to save the turtles?' and honestly we all deserve that environmental guilt trip." There are many alternatives to plastic straws — paper, biodegradable plastics and even reusable straws made from metal or silicone. But paper straws and similar biodegradable options often fall apart too quickly or are easy for people with limited jaw control to bite through. Silicone straws are often not flexible — one of the most important features for people with mobility challenges. Reusable straws need to be washed, which not all people with disabilities can do easily. And metal straws, which conduct heat and cold in addition to being hard and inflexible, can pose a safety risk. "Disabled people have to find ways to navigate through the world because they know it was not made for us," says Lei Wiley-Mydske, an autism activist who has autism herself. "If someone says, 'This does not work for me,' it's because they've tried everything else." "Also, what if you decide on the spur of the moment to go have a drink with friends after work but forgot your reusable straw that day?" adds Lawrence Carter-Long, communications director for the national Disability Rights Education & Defense Fund. "[That] doesn't leave a lot of room for spontaneity — something nondisabled folks get to largely take for granted." Environmentalists have latched on to a figure stating that Americans use over 500 million plastic straws every day — a number that was derived from phone calls made by a 9-year-old boy in 2011. Despite its frequent repetition, there's uncertainty over the accuracy of that figure. In a post detailing how the plastic straw became the cause du jour for those who love the oceans, Dune Ives, executive director for the Lonely Whale Foundation, wrote, "We found plastic water bottles too endemic, plastic bags already somewhat politicized, and no viable alternative for the plastic cup in ALL markets." So they chose plastic straws, a "playful" alternative and a " 'gateway plastic' to the larger and more serious plastic pollution conversation." Yet in general Hoover says that she is wary of outright bans on things. "I personally think we as a country use way too many disposable water bottles. That said, there are times when I'm caught somewhere, don't have a reusable bottle, and want the option to have water and not a sugary drink." 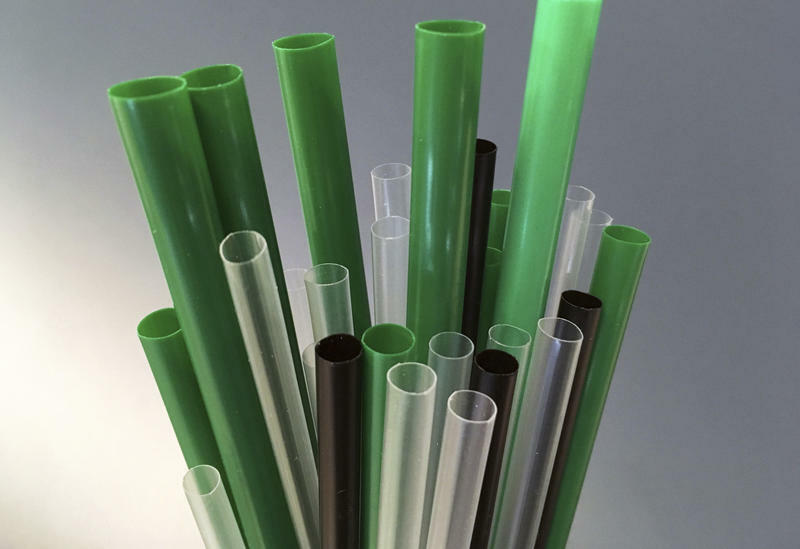 Carter-Long says he is sympathetic to environmental concerns about plastic pollution, but any public policy aiming to reduce the use of straws needs to make accommodations for people who might need them. Ideally, he says, "each restaurant owner [would] follow their own conscience, maybe keep a stockpile of plastic straws in their storerooms for people to use who need them." A spokesman for Seattle Public Utilities confirmed to NPR that the city's new plastic straw ban does include a waiver allowing restaurants to give disposable, flexible plastic straws to customers who need them for physical or medical reasons. But Carter-Long and Bickley say there doesn't seem to be widespread awareness of the exemption. Bickley says he asked over a dozen Seattle chain restaurants — including McDonald's and Chipotle — "if they had plastic straws available for people with allergies or need, and they told me no." And just because an exemption is written into law doesn't mean businesses will comply, even if they know about it. "So many businesses try to get around already ignoring things with [the Americans With Disabilities Act] until someone says, 'I need a ramp or wider hallway or ramp in bathroom or Braille menu,' " says Jordan Carlson. "Sometimes you need to bring a lawsuit just to have your voice heard." Tove K. Danovich is a journalist based in Portland, Ore. Maria Godoy is a senior editor with NPR and host of The Salt. Earlier this month, Seattle enforced a ban on plastic straws at businesses that sell food and drinks. It joins big corporations like Starbucks that have decided to get rid of plastic straws. The goal is to reduce pollution in the oceans. But there is an unintended consequence. For a lot of people with disabilities, straws are a basic necessity. NPR's Maria Godoy has the story. MARIA GODOY, BYLINE: Back in 2015, a video went viral. It was shot by a marine biologist from Texas A&M University. It showed researchers trying to remove a plastic straw stuck up a sea turtle's nose. UNIDENTIFIED PERSON #1: I don't want to pull if it's, like, attached to her brainstem. UNIDENTIFIED PERSON #2: Yeah, that's what - exactly what I think. So it's a freaking straw up her freaking nostril. UNIDENTIFIED PERSON #3: That's plastic. UNIDENTIFIED PERSON #4: How could that have possibly got lodged so firmly in the nostril? SHAUN BICKLEY: They aspirate liquid in the lungs, develop pneumonia and die. GODOY: There are reusable straws options out there, but Bickley and others say they don't work for everyone. BICKLEY: Metal straws are dangerous to people who bite down. They conduct heat and create burns. GODOY: Paper straws also have problems. BICKLEY: People who don't have muscular control will bite through paper straws, and that presents a choking hazard. Even biodegradable plastic isn't as flexible as real plastic. GODOY: Bickley and other disability rights activists say that bans on plastic straws should offer exemptions for people with medical conditions so restaurants would have plastic straws on hand for those who need them. In fact, Seattle wrote this kind of waiver into its ban on plastic straws which went into effect this month. But Bickley says some of the city's restaurants don't seem to be aware of the exemption. BICKLEY: I called a bunch of restaurants or dropped in, and I asked them if they had plastic straws for allergies or accommodation. GODOY: He says they all told him no. Maria Godoy, NPR News. (SOUNDBITE OF STEV'S "NEW LAND DISCOVERY") Transcript provided by NPR, Copyright NPR. 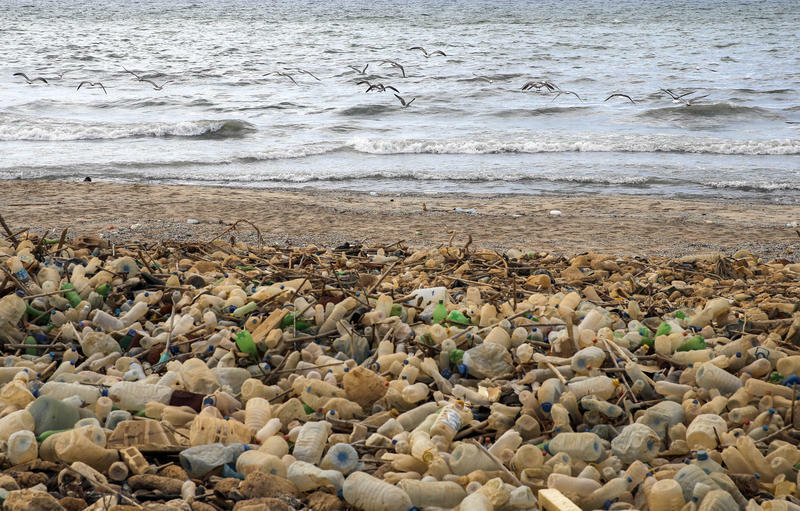 On today's show we discuss the consequences of the enormous amount of plastic disgarded everyday, alternative options available for use, and a bill that is currently making its way through the Ohio Senate concerning the issue. Gov. John Kasich signed an executive order on Friday that will emphasize the use of technology to assist Ohioans with disabilities when the state evaluates their needs.